WASHINGTON — The FBI is investigating whether Donald Trump’s associates coordinated with Russian officials in an effort to sway the 2016 presidential election, Director James Comey said Monday in an extraordinary public confirmation of a probe the president has refused to acknowledge, dismissed as fake news and blamed on Democrats. 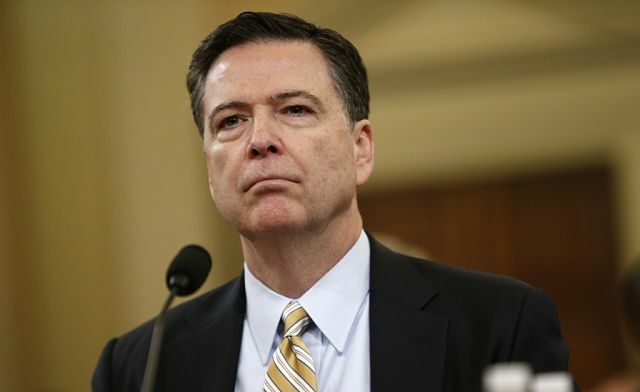 FBI Director James B. Comey acknowledged on Monday the existence of a counterintelligence investigation into the Russian government’s efforts to interfere in the 2016 election, and said that probe extends to the nature of any links between Trump campaign associates and the Russian government. Comey said he had been authorized by the Justice Department to confirm the wide-ranging probe’s existence. He spoke at the first intelligence committee public hearing on alleged Russian interference in the 2016 election, along with National Security Agency head Michael S. Rogers.